A four-year-old girl survives a harrowing escape across the heavily armed border of Czechoslovakia with her mother and brother after the Communist takeover in 1948. The family leaves everything behind to flee to freedom in Canada. 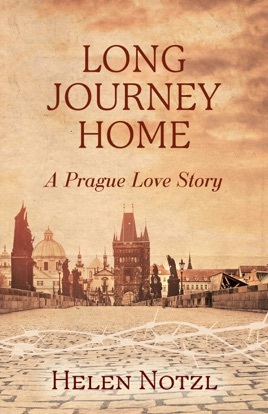 Years later, as a young woman living in Toronto, she finds herself drawn to the country of her birth and returns to Prague, along the way finding love, danger, heartbreak, and her family's legacy. Helen Notzl's poignant memoir takes readers on a voyage between two starkly different and conflicting worlds - from affluence and fulfillment in Canada to passion and revolution in Prague. Must she choose between the two? With intense drama, vivid narration, and brilliant detail, Long Journey Home tells the story of a woman's quest for those things that truly matter to all of us: love, family, identity and homeland.